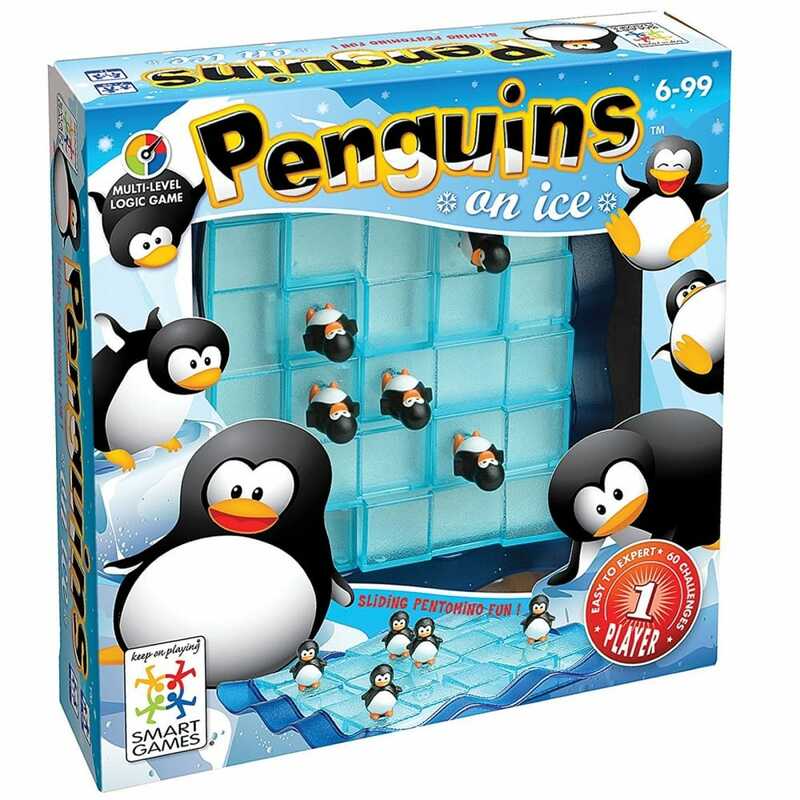 Penguins on Ice is the first game where the puzzle pieces become the puzzle, place as many of the tiles on the ice and the penguins in the right place for the challenge. Penguins on Ice is a unique game of logic with 5 'pentomino' playing pieces that must be shape-shifted. This challenging game presents players with a double challenge and try to figure out the right position of every piece and if it is also the correct shape. Contents: Game board, 5 puzzle pieces with penguins, booklet with challenges and solutions.